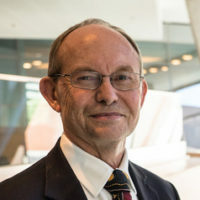 Michael Woods is Professor of Health Economics at the Centre for Health Economics Research and Evaluation at the University of Technology Sydney. He has had a long career in economics and public finance, including as the Under Treasurer for the ACT. From 1998 to 2014 Professor Woods was a Commissioner, then Deputy Chair, of the Australian Productivity Commission. He presided on over 20 national policy inquiries and studies, including Reports on the Australian Health Workforce (2005) and Caring for Older Australians (2011). He has worked extensively in China and Vietnam on fiscal reform, social insurances reform and national productivity. Professor Woods has recently been appointed to undertake an Independent Review of the Accreditation System of the National Registration and Accreditation Scheme for health professionals, reporting to COAG Health Ministers. The efficiency, effectiveness and responsiveness of Australia’s health workforce, in its ability to deliver accessible, safe and high quality person-centred care, has very significant social and economic consequences. At the social level, good health is fundamental to everyone’s wellbeing, to their personal productivity and to overall community cohesion. Health care accounts for around 10 per cent of our economy (GDP) and is making a major and growing demand on government budgets. Health care is also labour intensive and will be competing for skilled workers at a time when the total workforce is a diminishing proportion of our total population and when health care will need to be responsive to the growing proportion of health consumers who are challenged by frailty and/or complex chronic diseases. In 2004 and 2005 the Productivity Commission inquired into issues impacting on the supply of, and demand for, the health workforce and the future delivery of quality health care. It consulted extensively and transparently, and undertook a comprehensive analysis of the available evidence. It’s report, Australia’s Health Workforce (PC, 2005), concluded that there was a fragmentation of responsibilities, coordination was not always effective, regulatory arrangements were often rigid and constructed on profession-based platforms, and the incentives embedded in the design of the individual parts of the health system, including the funding and payments arrangements, detracted from efficient workforce outcomes. In response to the Commission’s report, and following a series of negotiations with highly involved and motivated stakeholders, the government announced a number of reforms, including the establishment of a national registration and accreditation scheme for health professionals, a key reform proposed by the Commission. Another reform was the establishment of Health Workforce Australia (HWA), in 2010, with one of its key functions being to sponsor, support, and disseminate the results of workforce innovation. HWA was the government’s response to the Commission’s recommendation that workplace change and job innovation was integral to the development of a future workforce that was both responsive to the changing health needs of consumers and was sustainable. The Commission argued that the statutory independence of such an organisation was essential. Whilst responsibility for the health workforce rests primarily with individual jurisdictions, HWA’s Annual Reports demonstrate the value of a national focus on innovation and workforce reform that could complement other reforms such as the national registration and accreditation scheme. However, as part of the Smaller Government Reform Agenda, the Australian Government announced in 2014 that it would abolish HWA and transfer its programs and functions to the Commonwealth Department of Health. A key element of the national registration and accreditation scheme proposed by the Productivity Commission was to integrate the profession-based accreditation of health education and training through an over-arching national accreditation board (with an initial capacity to delegate), and similarly to provide for the development of national registration standards and the creation of a national registration board with supporting professional panels. The Commission’s report recognised that there was already a significant level of nationally-based accreditation in the health area, but it was concerned that the quality of the accreditation processes was variable and inefficient. In particular, the professions-based approach was seen as reinforcing traditional roles and boundaries and thus constraining workplace innovation and job redesign. The aim of having a consolidated national accreditation regime was to encourage the timely uptake of ‘cross-professional’ workplace innovations and to promote multidisciplinary and interdisciplinary learning. In terms of governance, the Commission proposed that membership of the new accreditation board would provide for appropriate broad based expertise in health and education and training matters, while being structured to reflect the wider public interest (PC, 2005). The resulting National Registration and Accreditation Scheme (NRAS) began operation in 2010 and currently registers 14 health professions, with paramedics soon to follow. The legislated objectives of the Scheme, as set out in the Health Practitioner Regulation National Law (the National Law), include the provision of high quality education and training, the enablement of innovation in education and service delivery and enablement of ‘the continuous development of a flexible, responsive and sustainable Australian health workforce.’ (National Law, Section 3). The need for further reform? In establishing NRAS, COAG agreed to assign accreditation functions to existing accreditation bodies (where they existed) as a transitional measure. The National Law subsequently provided that this assignment must be reviewed by the Registration Boards for each profession within 3 years of the Scheme’s commencement. This occurred in 2012 and all Boards confirmed the continuation of their respective accreditation bodies. As agreed by COAG, NRAS was independently reviewed in 2014, and in relation to accreditation, the Review Report raised concerns about the cost, transparency, duplication and accountability of the arrangements and the overly prescriptive approach of the processes. www.coaghealthcouncil.gov.au/Publications/Reports/ArtMID/514/ArticleID/68/The-Independent-Review-of-the-National-Registration-and-Accreditation-Scheme-for-health-professionals. – (COAG Health Council Communique, 7 August 2015). At the Ministers’ request, the Australian Health Ministers’ Advisory Council has since commissioned a separate Independent Review into the Accreditation System. Its Terms of Reference and time frame are set out in detail on its web-site: www.coaghealthcouncil.gov.au/Projects/Accreditation-Systems-Review. Improving the cost effectiveness of the system, including streamlining accreditation processes where possible. Identifying and assessing the merits of any constraints to innovation, including in clinical training, the use of simulation and inter-professional learning. Assessing whether the accreditation arrangements, and their interaction with other parts of the health care system, have aligned incentives to produce the health workforce that health consumers will need in 10 to 15 years’ time. This theme will encompass such issues as governance, reporting, and inter-professional collaboration. This is a review of the system as it now is, and will identify what reforms, if any, will be needed to contribute to achieving the objectives set out in the National Law. Past reports will be drawn on, but it is recognised that there have already been extensive reforms over the last decade and that the future challenges are constantly evolving. The review provides an opportunity for all stakeholders to consider the role that accreditation can play, as part of the overall health care system, in developing a future workforce that is efficient and effective, that delivers safe, high quality care and that is both sustainable and responsive to the needs of future health consumers. The author acknowledges the helpful assistance of Peter Carver and Malia Dewse in preparing this article, but takes responsibility for its final drafting.